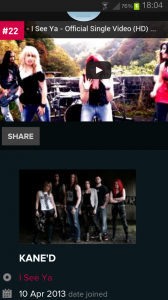 One of our favorite rock bands, the amazing “Kane’d”, have entered a competition to perform at Download Festival. They’re currently ranked at number #22 but with your help we could take them all the way to the #1 spot! Posted: April 12th, 2013 under ATP Updates.